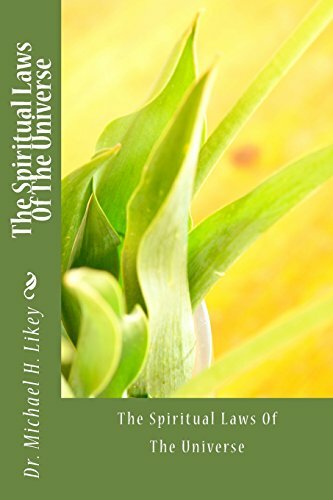 By Dr. Michael H. Likey, Ph.D.
"Spiritual Mind-Science And Your Soul" presents Dr. Michael Likey’s complete guide to pursuing and excelling at whatever task or goal you may choose. The potential of the human soul is limitless, and Dr. Likey provides all of the psychological, metaphysical, and practical tools at his disposal to enable anyone to access this inner power or potential, sometimes referred to as one’s higher self. The wisdom offered in "Spiritual Mind-Science And Your Soul" is designed not only for studying and for practicing, but also for integrating into one’s everyday living. The ideas that Dr. Likey discusses have been tested over the years by many of the world’s greatest seers, teachers, authors, and coaches. Spiritual laws are merely metaphors for the natural laws; though unseen, they are always at work in the world around us. 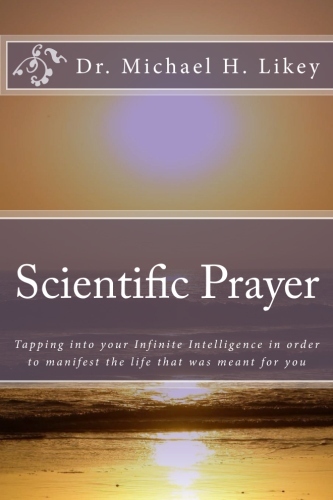 "Spiritual Mind-Science And Your Soul" offers a path for a deeper connection and the evolution of the soul. Using the methods presented here, you may gain greater quality of life, deeper love, and inner peace, focused on your true life purposes. As a BONUS, Dr. Likey's dissertation ("Scientific Prayer") towards partial fulfillment of his Doctor of Theocentric Psychology (Psy.Th.D.) is included, making this one of the most comprehensive books on New Thought Metaphysics. Dr. Michael Likey is an International Author, Metaphysician, and Spiritual Psychologist with an H.Dip. (Diploma of Clinical Hypnotherapy) from The Robert Shields College of Hypnotherapy, England. Michael is also certified through Robert Shields as a Fear Elimination Therapist, (2004) and is also a triple-Doctoral graduate: a D.D., Doctor of Divinity Specializing in Spiritual Healing, from the University of Metaphysics, a Ph.D. Specializing in Mystical Research from the University of Sedona, and a PsyTh.D., Doctor of Theocentric Psychology, from the University of Sedona, Dr. Masters, CEO. Both the University of Metaphysics, and the University of Sedona, as well as it's parent organization, The International Metaphysical Ministry, were founded by Dr. Masters, CEO. Dr. Michael is the author of the popular and globally-available books "The Science of the Soul", "Magic Happens! ", "Journey of the Mind, Journey of the Soul", "The Spiritual Laws Of The Universe", and "Scientific Prayer", in addition to a dozen e-books (available on the Amazon Kindle Store), and is also Founder/CEO/Spiritual-Director of his own spiritual gatherings/programs. He is a Member of the American Metaphysical Doctors Association, Member of the Association of Ethical and Professional Hypnotherapists (England), and Member of the International Metaphysical Ministry. "I just finished reading your book and I absolutely loved it! I was so inspired and motivated while reading it. Your book is so wonderful and I want you to teach me the tools from your book. I've never emailed anyone after I read their book and I really hope you will reply to this email. Again thank you for sharing your knowledge and wisdom and I am so thankful I came upon your book in a bookstore." -Adam S. Adams, CPC MH CISH CHt. “Dr. Likey challenges and encourages new methods of self-exploration and discovery through new and ancient wisdom. His unique take on classic and modern therapy and techniques leaves the reader with a greater understanding of mind and soul. His Spiritual Laws are both practical and simple to implement into your life. Dr. Likey's personal writing style makes for an easy and interesting read”. "I have known Rev. Dr. Michael for at least ten years, and I’ve been grateful to call him both a peer and a friend. In his persistent efforts to help others, he has taken it upon himself to constantly do research (both personal and professional), and to this end he has earned numerous credentials and degrees in his related fields. I have rarely seen him say “no” to assist others, and his professional skills, God-given talents, as well as his consistence to be all he can be has also resulted in him writing several books which I have the privilege of owning. Dr. Michael shares these ancient and time-proven tools that you’ll find are infinitely worth practicing, revisiting, and living for yourself".